Rio de Janeiro is known for beaches, parks, museums, nature, and nightlife. Your plan includes some of its best attractions: kick back and relax at Copacabana Beach, admire the natural beauty at Jardim Botânico do Rio de Janeiro, stroll through Praia de Ipanema, and delve into the lush surroundings at Parque Nacional Tijuca. 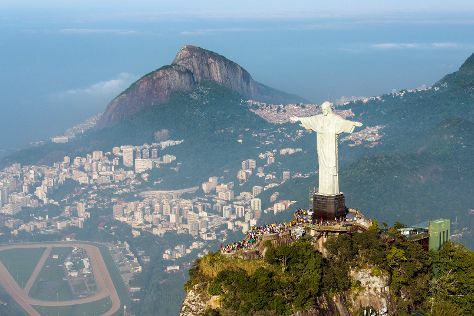 To see reviews, where to stay, more things to do, and other tourist information, use the Rio de Janeiro road trip app . The Route module shows you travel options from your home to Rio de Janeiro. March in Rio de Janeiro sees daily highs of 36°C and lows of 27°C at night. Finish your sightseeing early on the 23rd (Sat) so you can drive to Cabo Frio. Start off your visit on the 24th (Sun): enjoy the sand and surf at Geriba Beach, then take a leisurely stroll along Orla Bardot Boardwalk, then see the interesting displays at Projeto Coral Vivo, and finally make a trip to Rua das Pedras. Keep things going the next day: take in the waterfront at Porto da Barra Buzios and then enjoy the sand and surf at Praia do Forte. To see ratings, other places to visit, maps, and tourist information, refer to the Cabo Frio road trip app . Traveling by car from Rio de Janeiro to Cabo Frio takes 2.5 hours. Alternatively, you can take a bus. In March, plan for daily highs up to 35°C, and evening lows to 26°C. Wrap up your sightseeing on the 25th (Mon) to allow time to drive to Arraial do Cabo. 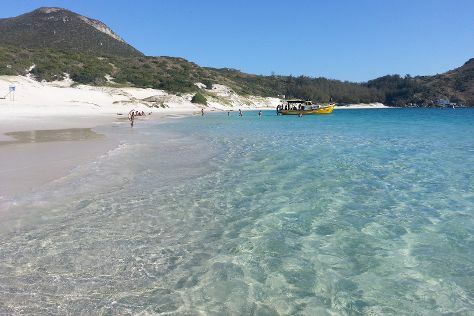 Located on a peninsula jutting out into the Atlantic Ocean, the municipality of Arraial do Cabo has become a popular tourist destination because of its pristine beaches and relaxing atmosphere. Start off your visit on the 26th (Tue): stroll through Farol Beach and then enjoy the sand and surf at Praia Grande. On the 27th (Wed), you'll have a packed day of sightseeing: enjoy the sand and surf at Forno Beach and then tour the pleasant surroundings at Prainhas do Pontal do Atalaia. To find maps, traveler tips, ratings, and more tourist information, go to the Arraial do Cabo vacation site . Traveling by car from Cabo Frio to Arraial do Cabo takes 1.5 hours. Alternatively, you can do a combination of taxi and bus. In March, plan for daily highs up to 35°C, and evening lows to 26°C. 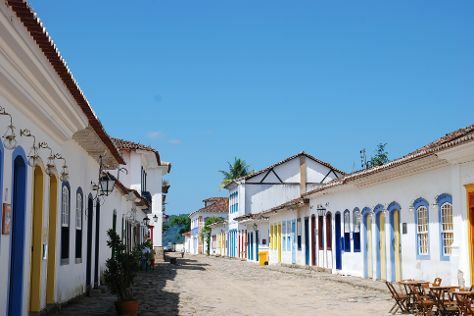 Finish up your sightseeing early on the 27th (Wed) so you can go by car to Paraty. Gazing out over a bay of tiny tropical islands, with rainforests climbing mountains in the background, it's easy to see why tourism in Paraty gets more popular by the year. Start off your visit on the 28th (Thu): race across the water with a speed boat tour, don't miss a visit to Centro Historico, and then look for gifts at Atelier de Ceramica Lulu Silva Telles. To find where to stay, reviews, more things to do, and tourist information, refer to the Paraty online vacation planner . Getting from Arraial do Cabo to Paraty by car takes about 5.5 hours. Other options: do a combination of bus and car; or take a bus. 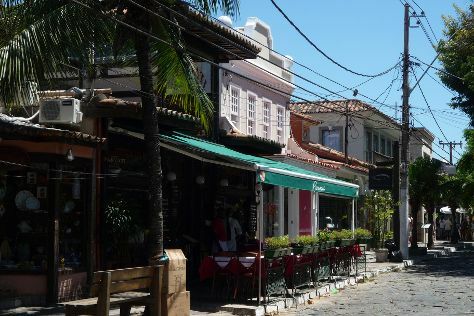 Wrap up your sightseeing on the 28th (Thu) early enough to travel to Ilha Grande. Start off your visit on the 29th (Fri): kick back and relax at Lagoa Azul, visit a coastal fixture at Castelhanos Lighthouse, and then stroll through Meros Beach. Here are some ideas for day two: enjoy the sand and surf at Santo Antonio Beach, then kick back and relax at Lopes Mendes Beach, and then explore the activities along Lagoa Verde, Ilha Grande. For where to stay, other places to visit, more things to do, and more tourist information, read Ilha Grande journey maker . You can do a combination of car and ferry from Paraty to Ilha Grande in 2.5 hours. Alternatively, you can do a combination of bus and ferry. 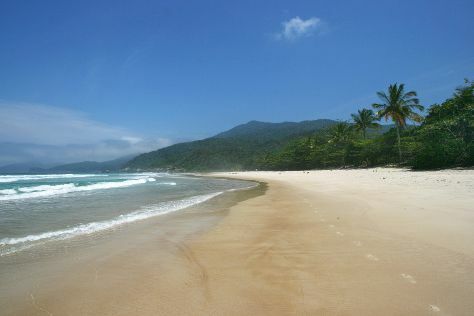 In March, daytime highs in Ilha Grande are 36°C, while nighttime lows are 26°C. Wrap up your sightseeing on the 30th (Sat) to allow time to travel back home.